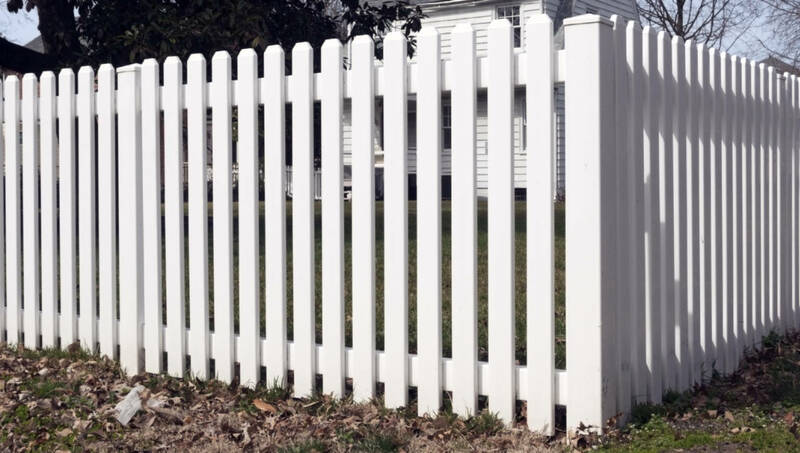 As you begin your residential fencing project, your natural inclination could be to imagine your grandmother’s little white picket fence. If you have already used a fence calculator to determine how much product you will need, then you may feel like you are ready to move ahead. But wait for it; like most home projects, the simple little fence that surrounded your grandmother’s house isn’t that simple anymore. Options abound, and it if you value your investment in a new fence, it is important that you make decisions carefully. Popular privacy fence styles are now available in a number of different materials. Would you like that fence to be anodized aluminum, vinyl, or wood? If wood, then Pressure Treated or Cedar? Are you wanting to paint it or stain it? How about a privacy panel, or maybe a semi private shadow-box panel, or maybe a solid panel stockade style fence? What about the profile? Dog-eared? Gothic? Flat? Do you see where I’m headed with this? Just like every other aspect of the construction industry, the fencing market is now awash with options. When budgeting for your project and answering the initial basic questions, like “how much does a fence cost?” You’ll probably want to work through these steps below first. Once you’ve narrowed down the options, you’ll be much better prepared to wade through the choices and develop a good working budget. As you can see, for the unsuspecting, unprepared or uneducated homeowner the selection process can be a little bit overwhelming. Use these basic steps to help you figure out what you really need so that you can get started with confidence. Decide what functions that you want the fence to serve before you determine what type. Do you need a true security fence or are you just trying to keep your dog in? Are you protecting a swimming pool area? In these scenarios, chain link fencing is very economical solution. If the fence is merely a cosmetic addition to add to the ambiance of your outdoor living space, then a more decorative fence style may be in order. Once you can answer these questions, you are ready to move ahead in the process. The next step is to determine what material you want the fence to be made from. Your grandmother’s pickets were most likely wood or iron. While these were fantastic options at the time, they also required regular maintenance. (Think Tom Sawyer out white-washing the fence.) If you are like most folks you don’t find yourself longing to spend your summer afternoons sanding, scraping, and repainting. All that to say, all of those older options require work, specifically, painting. There are several options now available that require very little maintenance at all. If this is your cup of tea, then think about a pre-finished aluminum or the many vinyl options that are available. Installation options are the next piece that you’ll want to consider. 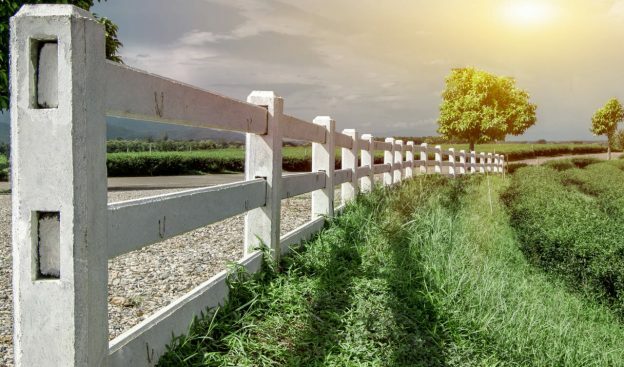 If you are installing the fence yourself, then you probably know that the installation of a good old fashioned wooden panel fence is fairly simple. Some of the newer vinyl options are made to go up quickly and easily, but require a great deal of precision when setting posts and rails. If you are confident in your rough-in construction skills, this may work well for you, but if precision isn’t your thing, then you may find yourself quickly frustrated with vinyl fence construction. As you are now realizing, there isn’t one best option above and beyond all others. Some are easier on the installation end, but require more maintenance along the way. Other’s take a little more precision in the installation process, but require much less maintenance as the years go by. Whatever you choose, it important to look at all of the options out there. Other fences in your neighborhood. It can be helpful for re-sale if you match the other’s that are in your area. Make sure you check any HOA covenants that may exist on your property. Many have style, height and color requirements. Permitting could also be an issue in some municipal areas. Take the time to make sure that issues like fence height, color, and swimming pool security are all within the realm of what is acceptable. There isn’t much worse than completing a fence project only to receive a citation and an order to take it down and re-do it. Now you have the tools to make the best decision for you, it’s time to get to work.